Eig is a former staff writer for The Wall Street Journal, where he remains a contributing writer. Eig has also written for The New York Times, The New Yorker, and The Washington Post, among others. Prior to The Wall Street Journal, he worked as a feature writer for Chicago magazine and as a news reporter for The Dallas Morning News and The New Orleans Times-Picayune. Eig's books have been published in 13 languages. 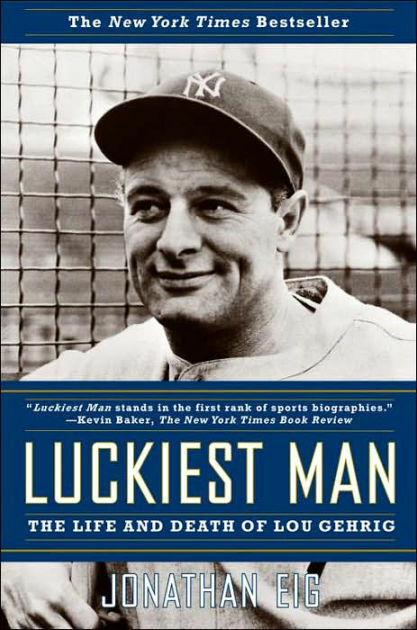 His first book, Luckiest Man: The Life and Death of Lou Gehrig, won the Casey Award for best baseball book of the year. Ali was named winner of PEN/ESPN Award for Literary Sportswriting; best book of the year by Sports Illustrated; and one of the ten best non-fiction books of the year by The Wall Street Journal. Ali won best biography and best overall book in the British Sports Book Awards. It also won the award for best biography or memoir from the Society of Midland Authors. It was a finalist for Mark Lynton History Prize; the Plutarch Award; the William Hill Award; the James Tait Black Award for biography; an L.A. Times Book Award for biography; and an NAACP Image Award. Eig has appeared on The Daily Show with Jon Stewart, Fresh Air with Terry Gross, and in two Ken Burns documentaries: Prohibition and Jackie Robinson. He is currently working with Burns and Florentine Films on a Muhammad Ali documentary. His next book will be a biography of Dr. Martin Luther King Jr. Contact Unabridged Bookstore at 773-883-9119, unabridged@unabridgedbookstore.com.